P E S T O- yum! I personally, can not get enough of the stuff. 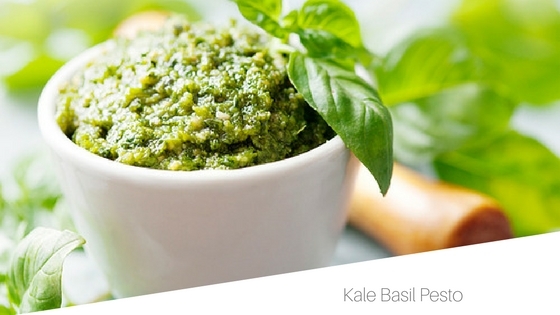 Here is one of my favorite pesto recipes. I like to put it over spaghetti squash, mix it into my veggie egg scramble or over top a quinoa salad bowl, with arugula, tomatoes, pine nuts and goat cheese. So many options- enjoy! 1. Depending on how effective your blender, combined olive oil, pine nuts, garlic, ½ lemon juice squeezed, salt, pepper, Parmesan or nutritional yeast, turn on low and allow to mix. 2. Next, rip your kale into smaller pieces (for weaker blenders, chop finely) and place in blender with basil. Blend until desired texture.